how to create inventions very rare... watch it if you dare! contact 017 333 2969 to place your order. 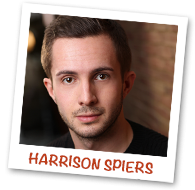 Harrison Spiers as Monty trained at Mountview Academy of Theatre Arts, London. Theatre credits include; Get On With It (Pleasance Theatre, London); 'Monty' in MonsterSaurus (Lyric Hammersmith/UK Tour); 'Genie' in Aladdin (Leicester); 'Boy' in The Cat In The Hat (UK Tour); Richie Cunningham in Happy Days: A New Musical (Italian Tour); Timmy in Aliens Love Underpants (West End/UK Tour) and Avenue Q (Upstairs at The Gatehouse). Also Harrison will be appearing as 'Buttons' in Cinderella at Camberley Theatre this Christmas! Sophie Steel as Mum has been acting, sing, dancing and playing with puppets for as long as she can remember. Theatre credits include: The Scarecrow and Good Witch in The Wizard of Oz, (Oxford); Emma in Baby Talk, (London); Elizabeth in The Lonely One, (London, Ipswich and Edinburgh) and Antigone in Antigone (London). On screen, Sophie is the star of web series ‘Raptured’, the first series of which gained an audience of more than half a million worldwide. She has also written her own one woman show ‘Thirty Dancing’ which enjoyed a successful run at the Edinburgh Fringe and sell out performances at the Leicester Square Theatre, London. 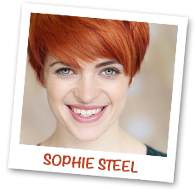 The show chronicles Sophie’s relationship with dance with the help of self-penned songs and a ukulele. Mark Collier as Bogablob/Dust Monster/Monstersaurus trained at Mountview Academy of Theatre Arts in London graduating with a BA Hons in Performance. 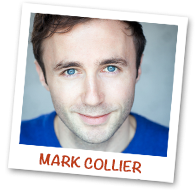 Since leaving drama school Mark has toured both nationally and internationally in shows including Aliens Love Underpants, The Owl Who Was Afraid Of The Dark and Romeo and Juliet. Mark also played a whole host of characters (including a pea!) in the Elves and the Shoemaker at the Courtyard Theatre in Hereford. He has a passion for comedy and is a regular performer, writer and director for Newsrevue, the UK's longest running sketch show. As well as acting Mark directs for Boxtale Soup Theatre Company and creates shows and events with his theatre company Club Sol Party. 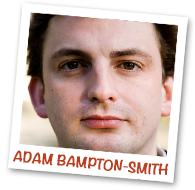 Adam Bampton-Smith (Adaptation/Director) is artistic director of Big Wooden Horse Theatre Company which he founded in 2004 to create theatre for young audiences in the UK and all over the world. He has written and produced The Legend of Perseus, Don’t Let the Pigeon Drive the Bus!, Pigeon Party!, The Night Before Christmas and The Life and Adventures of Santa Claus as well as adapting the Oliver Jeffers books The Way Back Home and Stuck for the stage. His show based on the Mo Willems’ Don’t Let the Pigeon Drive the Bus! has toured extensively throughout the UK, USA, Canada as well as visiting Malaysia, Singapore and Dubai in 2014. His adaptation of the popular children’s book Aliens Love Underpants toured the UK in 2013 and performed in London’s West End in Summer 2015. He is currently working on a one-man show called Oh No, Mr Sizzle! 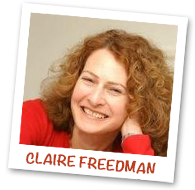 Claire Freedman (Author) is the successful author of over 50 picture books, including the Aliens in Underpants books, George’s Dragon and Tappity Tap! What Was That? 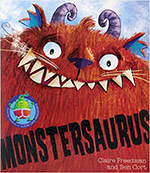 She is best known for Aliens Love Underpants, which has gone on to become a huge best seller and was the winner of the Richard and Judy Children’s Book Club in 2007. 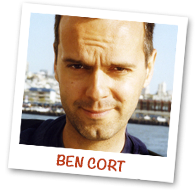 Ben Cort (Illustrator) is the illustrator of several children’s books, including Aliens Love Underpants and Octopus’s Garden, which have been published in eighteen languages in twenty countries worldwide. Ben lives in Bedfordshire, England. The company presents high quality theatre to younger audiences across the UK and to represent the best of British theatre craft abroad. They believe that young people deserve the highest quality of writing, performance and production that a professional theatre company can offer. The company's productions will always strive to both entertain and inform young people, drawing from different cultures and traditions to present entertaining and educational work.